Composed by Leos Janacek (1854-1928). 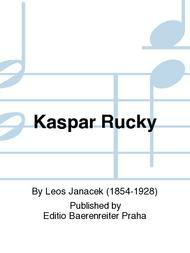 Czech title: Kaapar Rucky (zensky sbor se sopranovym solem). Classical. Choral score. With Publication language: Czech/German. Editio Baerenreiter Praha #H06001. Published by Editio Baerenreiter Praha (PA.H06001). ISBN 9790260001596. 28 x 20 cm inches. 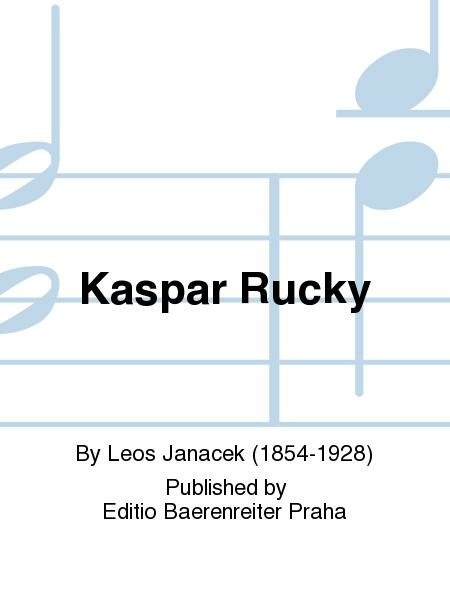 Janacek's Kaspar Rucky on text by F. S. Prochazka is written for a four-part female choir and solo soprano voice. Together with Songs of Hradcany , this work belongs to the much sought-after pieces for this scoring.